Remote Desktop Manager (RDM) centralizes all remote connections on a single platform that is securely shared between users and across the entire team­– its Suite contains many features that every organization needs to manage their complete infrastructure. This tool is very useful for any IT professional who works in administration, monitoring and implementation, etc., for their day-to-day operations and to manage multiple customers. In this review, I will be sharing Remote Desktop Manager’s available features and their many uses. A detailed comparison of each supported feature can found on the Devolutions website. RDM is available for both Windows and Mac, as well on Android and iOS mobile devices. RDM supports multiple native VPNs and other VPNs as add-ons, which you can install on RDM and access at your office or through a specific network. VPN connections can be configured in the VPN section of the session properties, and the connection can be established automatically, manually or configured to a specific condition. RDM has the ability to store multiple types of credentials, including both native and external applications. The table below lists the different application types. RDM also supports credential redirection, dynamic credential linking and Windows Credential Manger. With the help of this feature, you will be able to manage your session, browsing history, and more with a single click. RDM reduces the complexity of accessing multiple devices and sessions by integrating the existing password managers and automatically logging in everywhere with the help of stored passwords. RDM includes storage tools for important sensitive information like your wallet, bank account, and email. You can also create and save contacts, and send e-mails to Skype. Another option for storing information and contacts is Folders, which enables you to create multiple folders to manage your devices, grouping them based on location, devices, etc. You can also move the added devices or sessions to appropriate groups. RDM supports a role-based security system in which roles allows for creating a granular protection system that is quite flexible. Security is inherited: child items and folders are covered by a parent folder’s security. Permissions can be overridden: a permission set on a sub folder will override the parent item’s permission. Permissions are granular: Multiple permissions can be set on entries at once. RDM now supports Windows PowerShell, a powerful scripting tool that enables automation. This is provided in a PowerShell module. For any information regarding the RDM PowerShell module, please refer to the online documentation page, which can be found here. 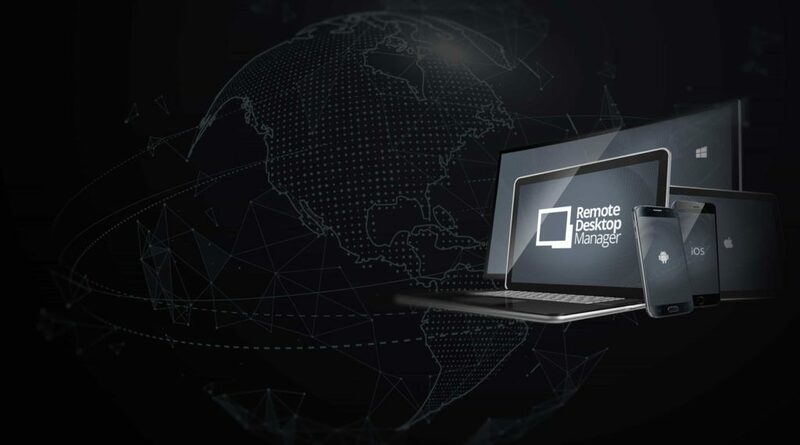 Remote Desktop Manger provides customers with best practices, tips and tricks to make their environment healthy and secure with enhanced features. All technical information, like installation fixes, new features and updates are available from the Devolutions Blog, YouTube channel and tech forums. You can stay up-to-date on all things Devolutions by subscribing to their monthly newsletter for the most recent information about their products, case studies, new releases, software tutorials, and much more. They are also highly committed to customer support – helping users solve issues, enhance features, provide fixes, and offer feedback.